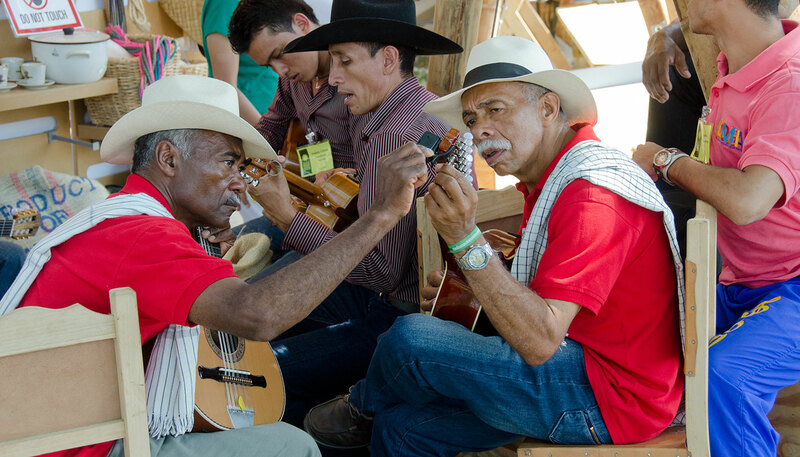 These pages offer a window into the processes of conceptualizing, researching, and producing the 2011 Smithsonian Folklife Festival program on Colombia. Colombia: The Nature of Culture was a complex project that convened one hundred cultural practitioners for ten days on the National Mall. The project team was comprised of researchers, curators, artists, translators, photographers, videographers, engineers, and educators from the United States and Colombia. For three years, we worked together to conceptualize, research, and produce the Festival, which featured live performances, demonstrations, workshops, and discussion sessions representing six ecosystems and three cities. By sharing documentation from all phases of the project as well as the perspectives of project staff and participants, the following pages showcase the Festival content and themes and provide insights, lessons, and models that we hope others can adapt for the documentation and interpretation of their own traditions. "The Smithsonian provided a unique opportunity for representatives of Colombia's cultural and ecological diversity to meet in one space. Where else would you find a real paisa mule driver and a shaman from the Amazons together in the same place?" The Colombia: The Nature of Culture program at the 2011 Smithsonian Folklife Festival invited visitors to journey through the rich bio-cultural diversity of Colombia and explore how Colombian cultural expressions are inextricably connected to their distinctive environments. The program highlighted six ecosystems and the urban centers of Bogotá, Medellín, and Cali. One hundred Colombian artists participated. 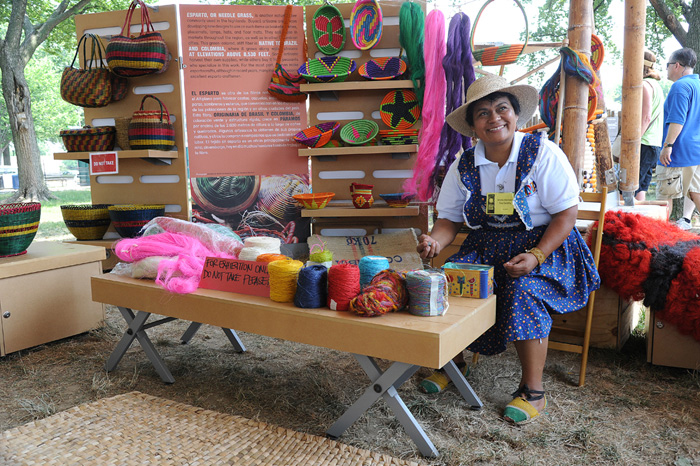 María Florinda Coy Castillo takes a break from the Sabores y Saberes stage to help organize the junco and esparto crafts. The tradition practitioners are the heart of the Festival program. 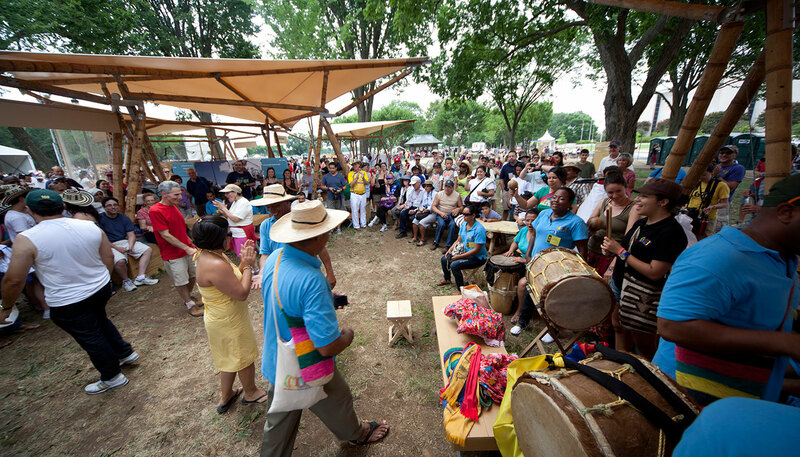 For the Colombia program, the curatorial team selected one hundred tradition practitioners to participate in the 2011 Smithsonian Folklife Festival. A blacksmith heats his iron in a traditional forge before demonstrating the technique for shaping the metal. 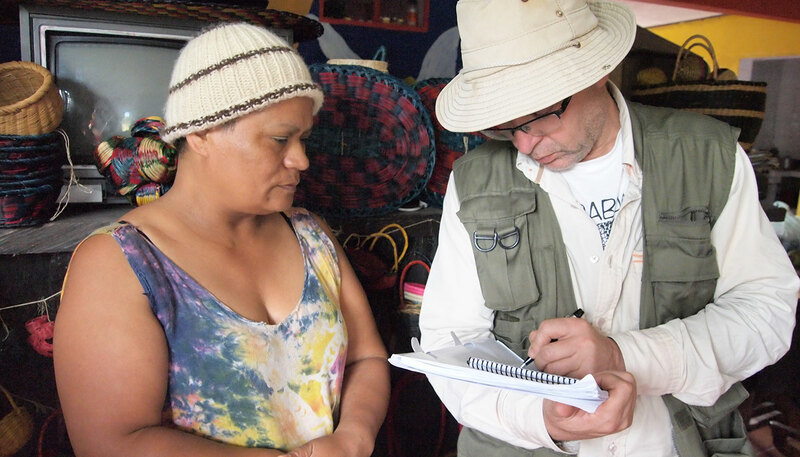 Through these pages, we explore a three-year process of preparation for the Colombia program. 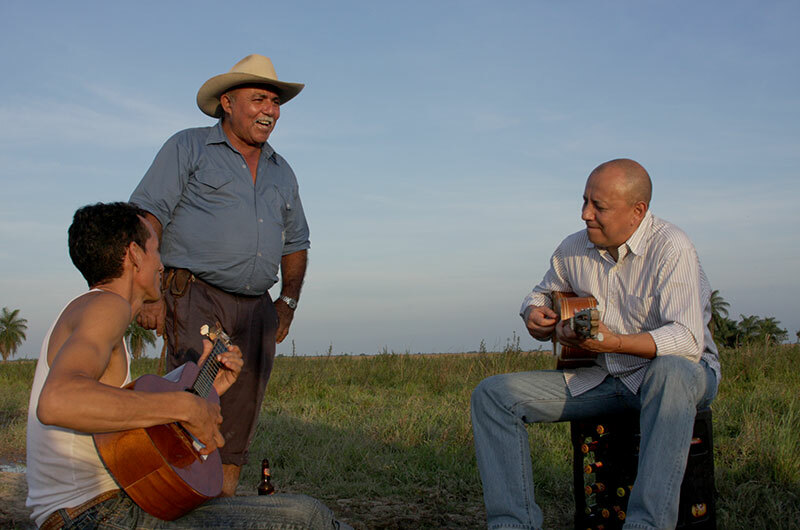 We begin with Smithsonian Folkways Recordings, which blazed the way with Tradiciones Latinas project, which recorded traditional Colombian music in some of the same regions to be featured in the Festival. This image represent the early stages of the conceptualization process in staging the Colombian Festival program on the National Mall. 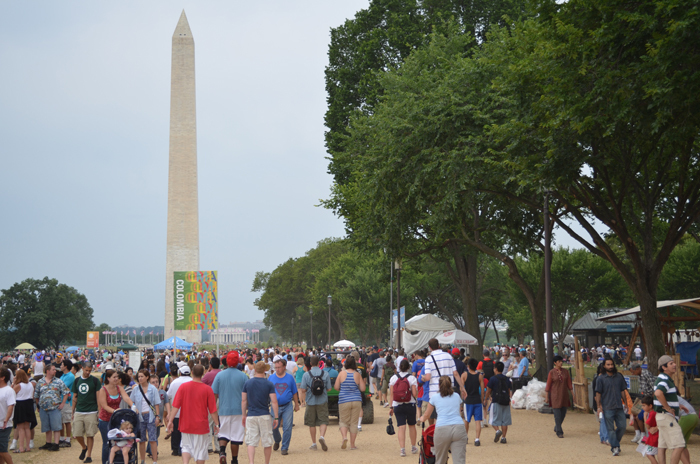 Once we develop a conceptual theme for a program and complete fieldwork research, we design the layout for the presentations within the physical and regulatory parameters of the National Mall. Johanna Palacios Ruiz and Edinson Dario Vanegas from Tango Medellín perform tango dance at the Al Son Que Me Toquen Stage. Photo courtesy of the Embassy of Colombia in Washington, D.C. Physical venues, signage, and presenters provide different means through which artists and the meaning of their experiences are interpreted and presented at the Festival. These pages invite you to navigate the different formats for presenting traditional culture, strategies for engaging visitors, and materials for preparing cultural mediators, called presenters, who help contextualize presentations and interpret between languages when necessary. The Festival never ends. Although it is an ephemeral event, its effects last long beyond its ten days of intense performance and interaction. Participants return to their homes with new knowledge and insights learned from their experiences and interactions with visitors and with one another. Festival production generates new research and research areas.